I am so excited to be offering this giveaway to my readers! 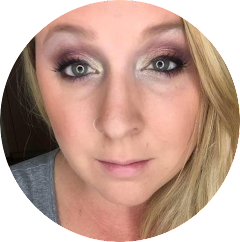 As a military spouse, I am always more than happy to help promote other military spouses and their businesses, and Bravo Tango Tees is just that -- a businesses started by military spouses to help others show their pride! At Bravo Tango, we make that shirt that you reach for when you know you’re going to have an awesome day. Whether you are showing off your pride as a military spouse, your fight against adversity, your love for charity or your tenacious female spirit, Bravo Tango has the shirt for you. We create all of our designs in house – or with the help of guest designers. They are as unique as our customers, and each one is a work of American made art. Our printing is done by professional screen-printers.When you grab a tee-shirt and pull it on, it should give you comfort and confidence. As soon as our 100% cotton, super soft material touches your skin, you will be ready to tackle the day, asserting your personal pride through our chic designs. And let me tell you, their styles are adorable. We all know that some of the military t-shirts out there can be a little cheesy or boyish. But Bravo Tango Tees have something for everyone and their designs, and as far as I am concerned they are original and stylish! They also make adorable baby stuff. As you can see, Lucas is modeling his Baby Dog Tag Onesie! An Army Brat already! His daddy would be so proud. Sign up for the Bravo Tango Newsletter. Leave a comment HERE saying that you did that. Do you already own a Bravo Tango Tee? Take a picture and post it to your facebook, twitter or blog linking to Bohemian Transplant and the Bravo Tango Facebook page. Make sure you use the hashtag #BTGiveaway. Leave a comment HERE saying you did that. Winner will be chosen via Random.org and will be announced on Friday, October 19th. You will be notified via email, if your email address is provided in your comments. 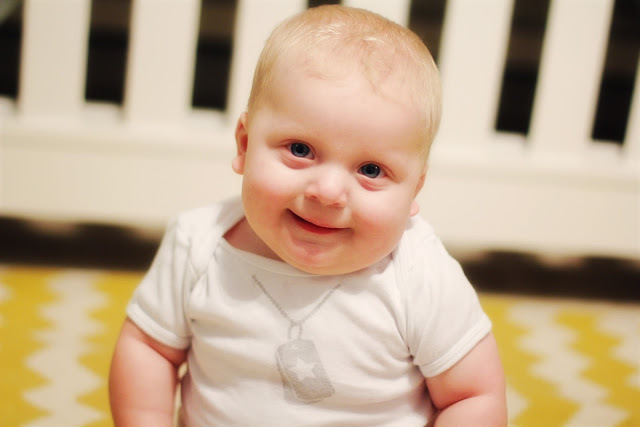 **Note: While I was not compensated for this giveaway, I was given the Baby Dog Tag Onesie to try and keep for Lucas. I promise that my opinions are my own! Also, all BTT images are from the BTT website! They are not my own. Except the one of the cute kid. I take full responsibility for that one. **Update: Make sure you leave ONE COMMENT for EACH THING YOU DO, giving you six comments left on the blog total. If you do not [and you mention everything in one comment] it will only give you one entry total. I have adjusted for a couple but won't do it going forward. Thanks! I liked the BTT facebook page! I tweeted! My first tweet!!! Did I do it right??? I'm pretty social-media savvy but twitter has got me all sorts of confused. Liked Bravo Tango Tees on FB. liked and left a comment on Bravo Tango Tees! I receive Bravo Tango's newsletter! I follow Bravo Tango Tees on FB. I already like BT Tees on fb! YAY! I already like BTT on FB. I already subscribe to the BTT newsletter. I like Bravo Tango on FB. I subscribe to their newletter. I follow Bohemian Transplant through GFC. I follow Bohemian Transplant on facebook. I liked and commented on the Bravo Tango facebook page. I signed up for the Bravo Tango newsletter.